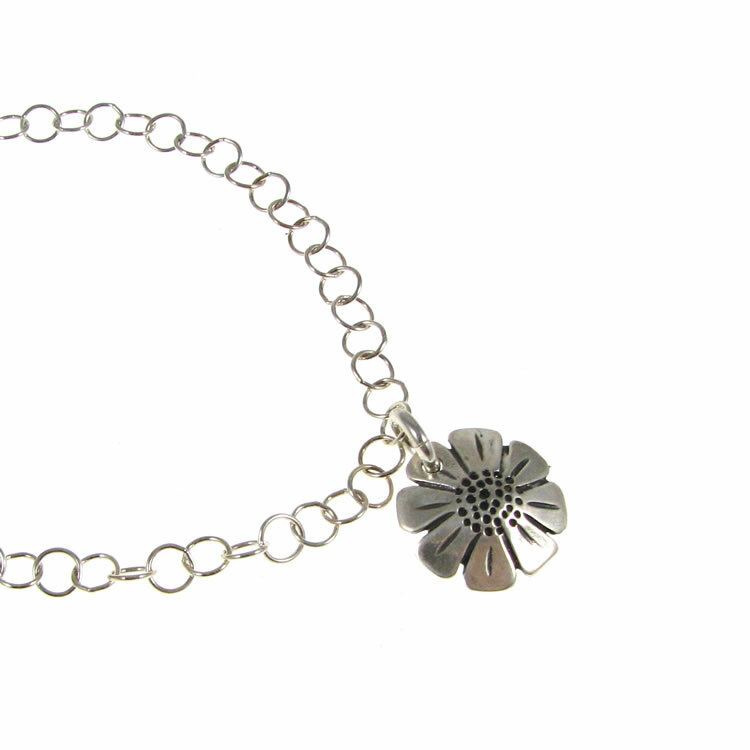 This wearable keepsake combines the prettiness of a daisy -- the flower associated with loyal love -- with a marker of a 50th birthday since it is made from a 1967 Roosevelt dime. 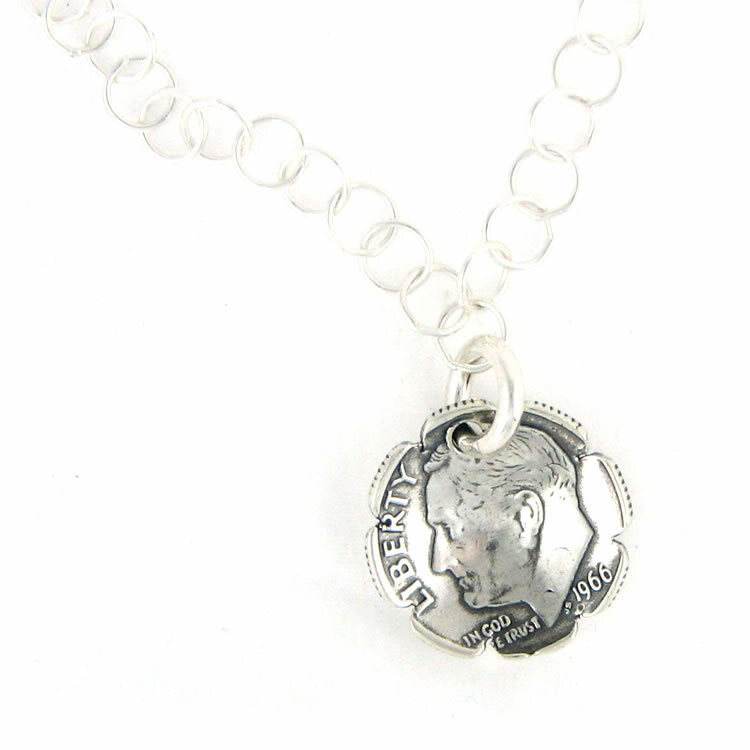 The coin charm and bracelet chain are sterling silver. Chain measures approximately 8 inches.